The first-annual academic conference focusing on private equity is organized by the Tuck Center for Private Equity and Entrepreneurship, and the Finance, Organizations, and Markets Research Group. 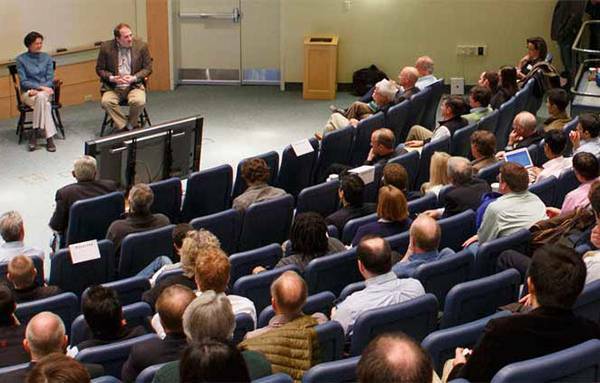 The Tuck Center for Private Equity and Entrepreneurship (CPEE) has created a new academic conference on finance, organizations, and markets (FOM), to be held at Tuck on August 26 and 27. The conference is an outgrowth of the Finance, Organizations, and Markets Research Group, which is part of the CPEE and chaired by Gordon Phillips, the C.V. Starr Foundation Professor and academic director of the CPEE. The FOM Conference, like the research group, is designed to advance interdisciplinary research in finance and private equity and the organization of firms and markets, including financial, industrial and labor markets. As such, the conference includes a keynote address by Steven Kaplan, the Neubauer Family Distinguished Service Professor of Entrepreneurship and Finance at Chicago Booth, and sessions on topics such as the liquidity cost of private equity investments, the roles of nature and nurture in entrepreneurial success, the effect of patent rights on industry structure and R&D, among others. Academics from U.S. and international schools will be presenting and discussing their work. Schools represented include Boston University, Cal Tech, Chicago Booth, Columbia, Tuck, Harvard Business School, Hong Kong University of Science and Technology, MIT, Northwestern, Ohio State, Pittsburg, Stanford, IFN Stockholm, and the University of Amsterdam. For more information about the conference, please visit the FOM Conference website, or e-mail Alison Pearson.